I have just downloaded and installed the new WordPress for iPhone App. It seems much more robust than the previous version. The interface is well thought out, although I would prefer my default view to be posts as opposed to comments. Adding new posts is effortless. The only other feature I’d like to see would be a “rich text” option for editing previous posts. All in all a nice step forward. 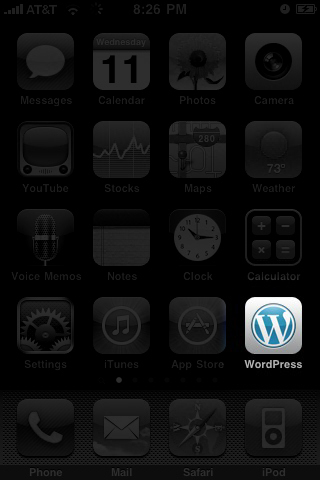 WordPress 2.0 now available in the App store.